The Charity dates back to the time of Henry VIII. 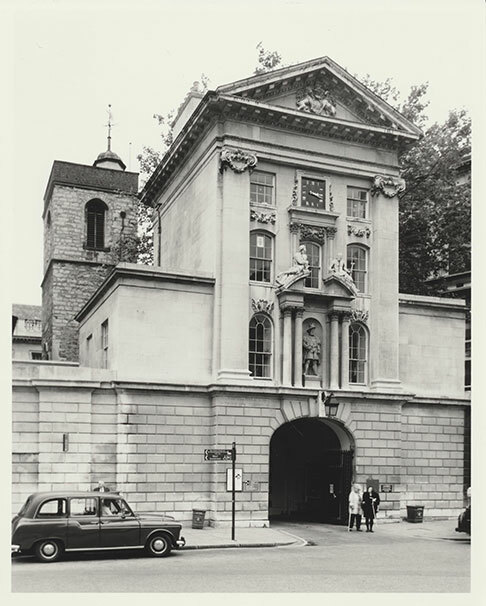 The Voluntary Hospital of St Bartholomew is an independent charity devoted to supporting patients and staff at St Bartholomew’s Hospital – “Barts” – in the City of London. Board members, “the Governors”, have had the experience of formerly serving as members of staff at St Bartholomew’s for a total in excess of 200 years. In addition there are Governors appointed who bring additional skills and experience including financial, investment and legal. The Charity devotes its resources entirely to the patients and staff of Barts Hospital, rather than to any wider grouping. We are therefore able to stay true to the vision of the founder of Barts, Rahere, who built the hospital to benefit the poor of the City of London. Following his example, the Charity continues to help those who need some extra assistance at a time of sickness or incapacity. Grants can be made to patients, as well as to their relatives and carers, and to the staff of the Hospital, to ensure the best possible experience for those receiving their care at Barts. In particular, we aim to help with some of the small things a patient or family member may require, which nonetheless can make a big difference at a difficult time. Typical grants range from a few pounds to in exceptional circumstances £25,000, with the Charity able to act with speed when the need arises, and with the minimum of red tape and form filling. The funds have arisen as a result of the generosity of present and previous generations, and the careful management of these funds by the Governors of the Voluntary Board. The Royal Hospital of St Bartholomew was founded in 1123 by Rahere, a courtier at the time of Henry I, who fell ill when on a pilgrimage to Rome and vowed to found a hospital for the benefit of the poor of the City of London. He was inspired by a vision of St Bartholomew and on his return to London, he built both a hospital and a church at Smithfield, each bearing the name of the Saint. The Hospital continues to occupy its original site nearly 900 years later. In 1546, following the Dissolution of the Monasteries, Henry VIII gave the Hospital to the City of London and the Board of Governors ran the Hospital until the creation of the National Health Service in 1948. Today, the Governors continue to administer limited funds from the old Hospital as a charity regulated by the Charity Commission and independent of the NHS. Copyright 2018 The Voluntary Board of St Bartholomew's Hospital.All rights reserved.Images © Paul Tucker Photography.